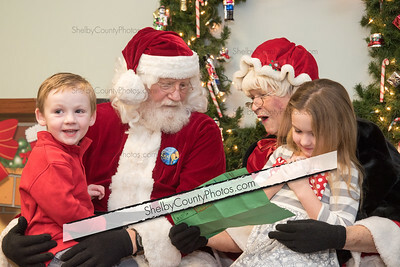 Sawyer and Lexi Walker tell Santa and Mrs Clause what they want for christmas. 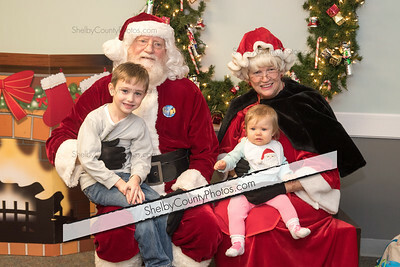 Will and Blake Everett sit with Santa and Mrs Clause. 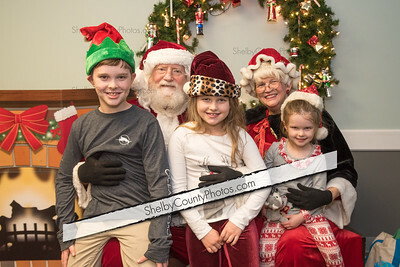 The Coker fmaily tries on elf hats provided by Mrs Clause from the north pole. 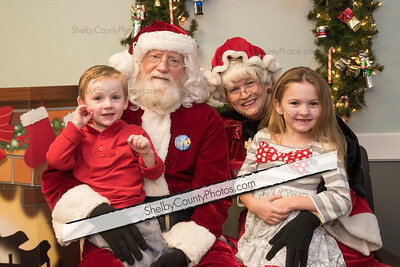 Members of the Parks family sit with Mr and Mrs Clause. 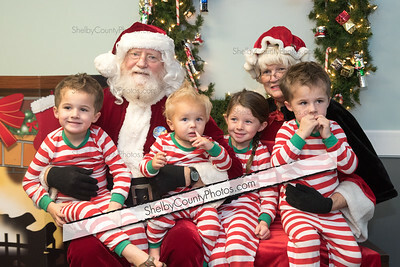 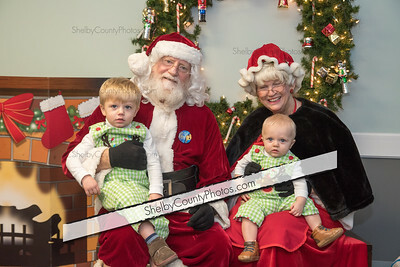 The Ansley family in their matching outfits sit with Mr and Mrs Clause.